This project can steer 10 different things wireless with the use of a normal TV-remote-control with the RC5 protocol, from manufacters like Philips, Grundig and Marantz. If the Proton PIC Basic compiler is available, then you can ofcourse change the number of channels. When ‘TV’ mode is selected on your remote-control, you can with the buttons 0 through 9 on it, steer 10 outputs on and off. When there is an unused system on your remote-control (SAT, AMP, DCC, VCR2) then the code in the PIC can be changed with the remote-control to another system. Switch the power from the PIC to OFF. Select an unused system on the remote-control (like SAT, AMP, DCC or VCR2). Push a button (0-9) on the remote-control and keep it pressed while switching the power from the PICmicro ON. 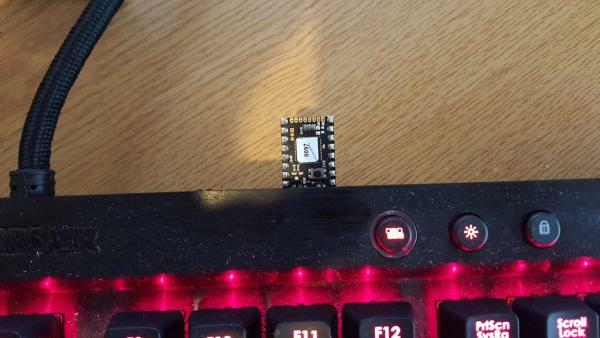 If the LED blinks a couple of times slow, then the new system is programmed in EEPROM. Now the buttons 0-9 works only when the remote-control stands in the just programmed system mode. The LED burns continue while a valid button from a valid system is received and blinks fast when an invalid IR-code is received. ‘System’ means equipment like TV, VCR, TAPE, SAT, etc. ‘Command’ means buttons on the remote like 0-9, I/II, PLAY, STOP, etc. A push on a button from the RC5 remote-control sends: a header, a togglebit, an extended (7th) command bit, a 5 bit system-code and a 6 bit command code. When the received system-code is equal to the programmed one in the EEPROM from the PIC, then the command-code is executed. 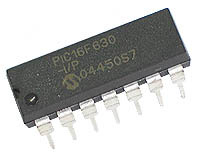 The programs are based on the 14-pins 16F630, but they can ofcourse make workable for almost every type PIC. That project displays the IR-code’s on LCD so this project can be extend to steer much more channels wireless (till 127 outputs!) with for example the 74HC595.